When I try to add more than 2 files to my production videowave crashes. The little wheel rotates but nothing happens. I've waited up to a minute for it to complete the load but it never does. I'm working with MTS files from my Sony camera. There are 7 of them ranging between 20 and 90 Mb's in size. I've repaired the installation but that didn't help. Is it the file format that might be causing the problem or the fact I'm running 2012 on Windows 10 64 bit or something else? I'm thinking up upgrading 2012 to something newer possibly one of the NTX versions. I don't need all the bells and whistles in 6, just the features that were in 2012. I have read bad things about 5. So, what would you folks suggest as an upgrade? I'm working with MTS files from my Sony camera. 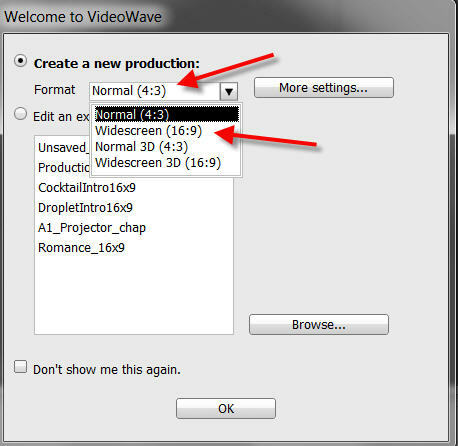 I would upload to a file sharing site the two files that make videowave crash. We can download them (you supply a link to them) and we will test them in our C2012. The NXT versions are more of a downgrade than a upgrade. I can add Osprey 1 and 2 but, when I try to add 3, videowave crashes. What happens if you add them in different order? Same thing no matter what order. Add two files OK. Third file, crash! Is yours the same or later? What do you suggest? I'm thinking the uninstall, reinstall exercise. Did your videowave work before this with MTS files? Your PC meets minimum system requirements? Any big changes to your PC lately updates and such? Any big changes to your PC lately updates and such? Windows 10 updates constantly of course. Could that cause problems? I don't run W-10 let me ask someone who does to join the discussion. I uninstalled and cleaned every bit of C2012 out of the registry and appdata folders. Will reinstall and see what happens. cleaned every bit of C2012 out of the registry and appdata folders. I do this to get a "clean"install. Roxio recreates these folders and files when it installs and when you open it the first time. BTW. My fresh install had the same issues as before. What I did was to run the files thru the copy and convert app. Resolution: here are many. Since the MTS files were 1080 x 1920, That's the one I chose. Left everything alone. I successfully added all 7 MP4 videos to videowave. Sorry I'm late to the party - this machine was in the middle of alterations. Just to be reckless, I added a .DIVX, an M2TS, an .AVI, and a couple of .MP4s as well and the program didn't falter. File order in the production didn't seem to matter, and I played musical chairs with them for a while with no ill effects. I renamed copies of your files and pushed six of them into the project at once, but it still worked. Sorry, but I can't work out what your machine might have against more than two .MTS files. Can you get hold of any other MTS files to see if it obects to them too, or just something special about your Osprey ones? Another issue. After editing and saving my Osprey production, I exported it to a video file. 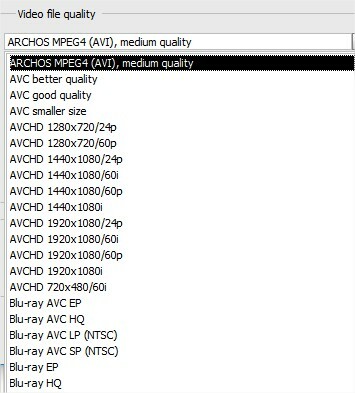 There are tons of video file quality selections. I tried the ones that seemed to promise the highest quality none of which look very good (A little out of focus) when I play the back. The files I added to the production were all 1920 x 1080. The individual scenes in the production are the same. All of the exported files are 720 x 480 Which is not the same resolution. Maybe that's why the play back isn't very good. 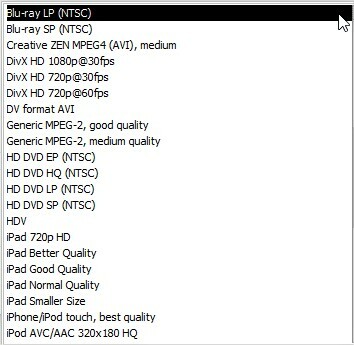 There are a number of formats there running at 1920 x 1080, and picking WMV9 1920 x 1080 VBR and DivX HD 1080p both got me output movies at 1920 x 1080. Sorry. Should have been more accurate. It's not the resolution i'm concerned about, it's the width to height ratio that's different. My C2012 doesn't have those choices. 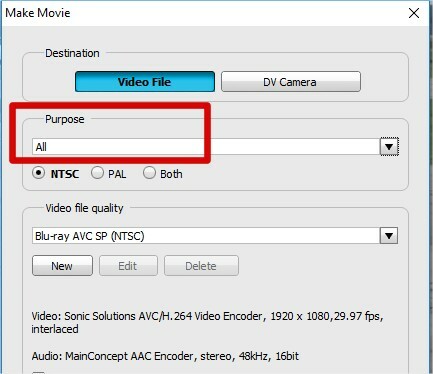 There's DVX home theater 720 x 480 which doesn't improve the playback and there's a WMV video 9 640 x 480 VBR but, if I choose that, the create video file button at the bottom of the make movie box disappears! 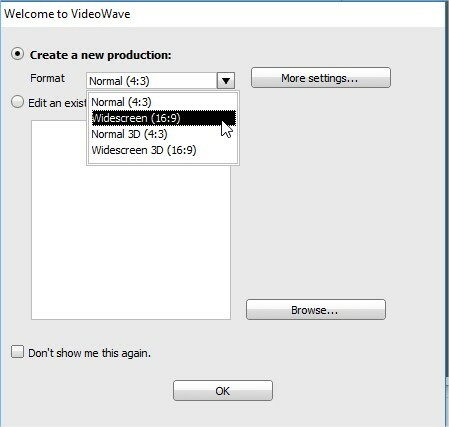 I think you chose a 4.3 production and not a 16.9 production when you open videowave that has the higher resolution outputs! I think that's what I did. Is there anyway to tell what res the production is? Properties doesn't tell me anything. It should, properties, details tab? Nope. I'll start a new production with a few files at 4:3 and see what happens. If your loading 16.9 why do 4.3? 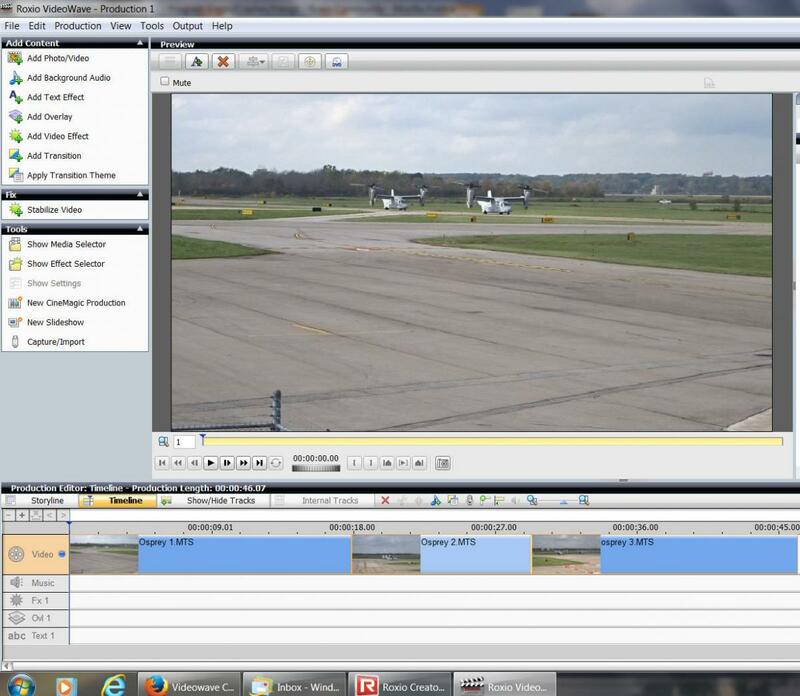 When you come to outputting your video, you have two boxes you can choose from, Purpose and Video file quality. Select "All" in the purpose box, and you'll see all these choices for Quality and type. Experiment with some of these and see which suits you. Remember that your project contains your files at 1920 x 1080, and the choices you make when outputting affect only the dimensions and quality of your output file(s). Test results. My first production was 4:3. I started a new one at 16:9 Now the export as box has many more hi quality choices. I've included dropbox links to the files I created below. I'm not sure what criteria to use to judge the quality of the playback. What I used was: just as the planes are taking off, I zoom in on them and, to the right, I concentrated on the clarity of the small SPIRIT logo behind the rear hatch of the airliner parked at the gate. Next, at about the 44 second mark, the back of a mans head appears. I paused the video and observed the clarity of the individual hairs on his head. To me, They all look pretty close alike The DVX and the AVCHD take the longest to render but produce the smallest files. ( not really important to me.) 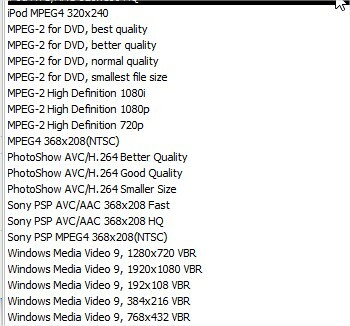 The MPEG-2 HD's all look about the same. A couple of questions. For instance, on the 1080 files, whats the difference between the i and p suffixes? No matter what purpose I choose, I cant use any of the Windows media 9 qualities. The create video file button disappears. Why? Of all the quality choices above, which one do you guys think I should settle on or, is there another one I've missed? Maybe, after this, I can go away.